Our latest NEIS Newsletter is out! From small ideas big things can happen. 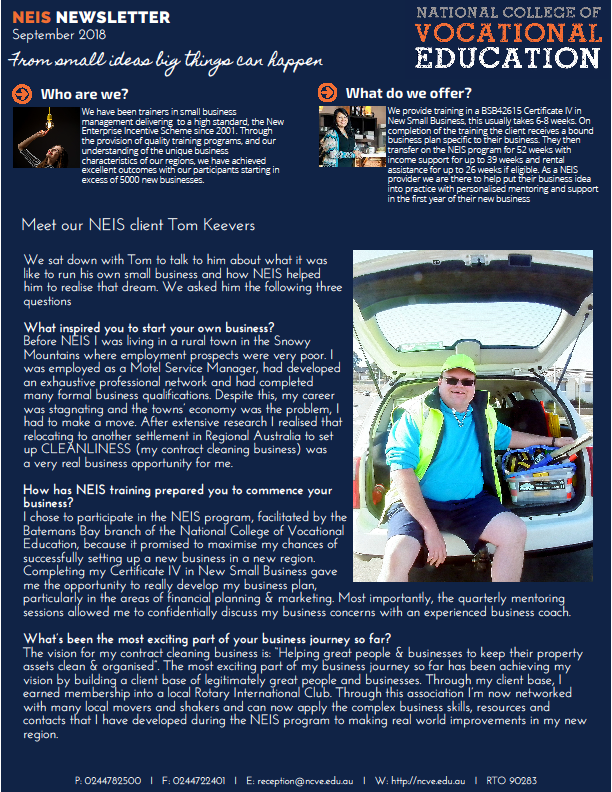 We just love following our NEIS clients and sharing their successes – they are truly inspirational.